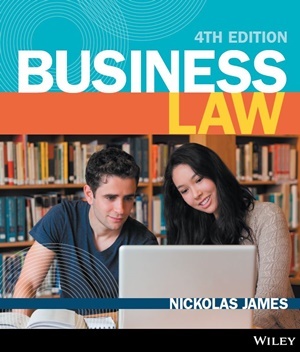 The fourth edition of Business Law (James) builds on the success of its previous editions with improved coverage of contract and statutory law, problem-based learning modules and more accessible, easy-to-understand language. 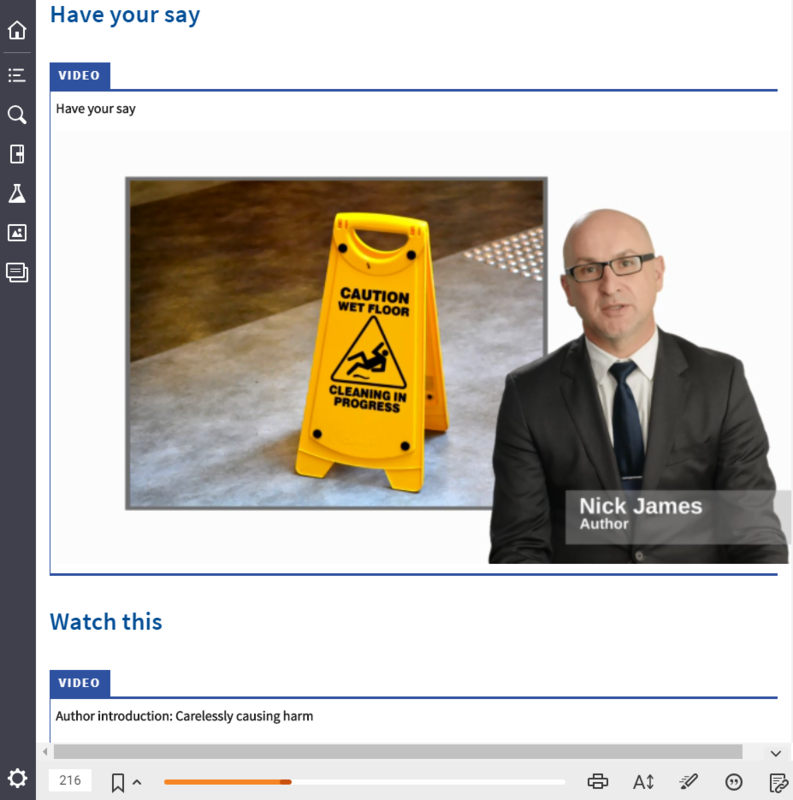 Delivering an engaging learning experience for students, with author videos, animations and interactives embedded at the point of learning. The problem-based learning modules connect course concepts with real-world legal scenarios, requiring students to apply higher-order thinking skills to solve problems. 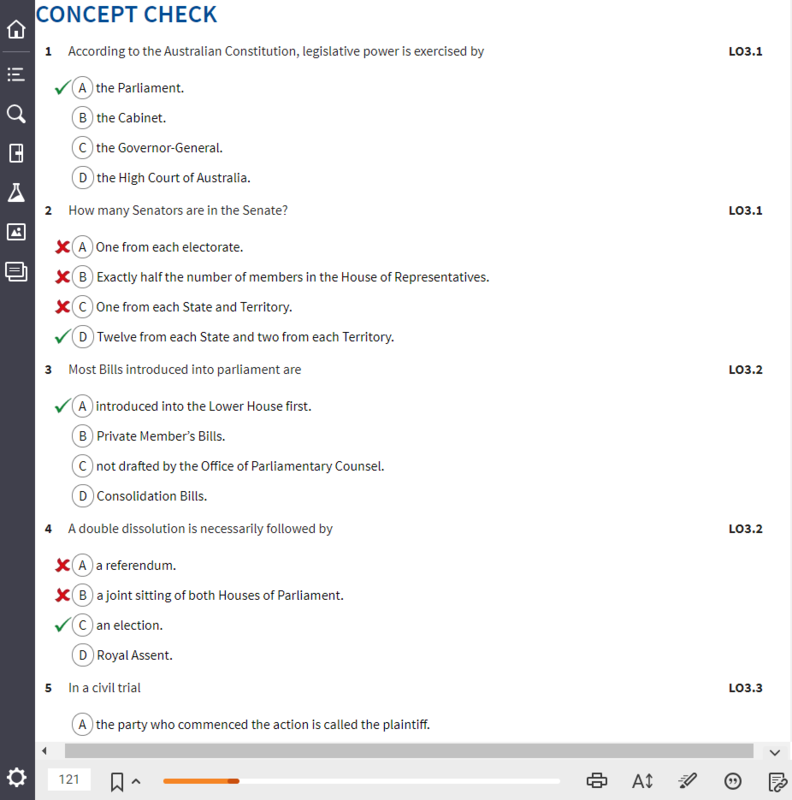 A full colour printed textbook with an interactive eBook code brings business law to life and provides students with a rich and engaging active learning experience. 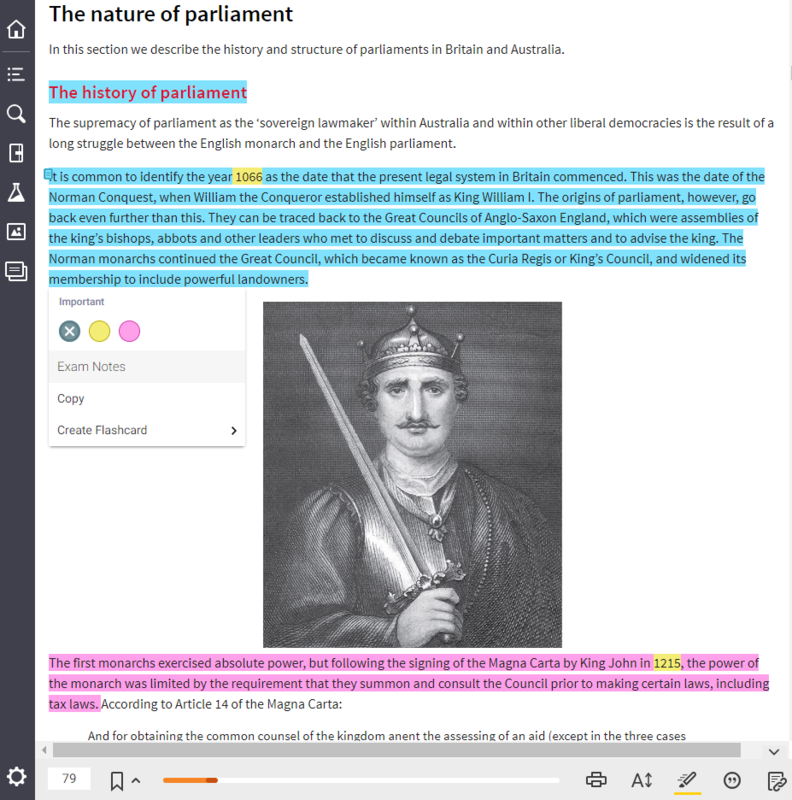 Video insights help students connect course content with real world examples. Professor Nick James is the Executive Dean of the Faculty of Law at Bond University. He is a former commercial lawyer, and has been a practising academic since 1996. His areas of teaching expertise include business and commercial law, law in society and legal theory, company law, the law of succession and property law. He has won numerous awards for his teaching including a National Citation for Outstanding Contribution to Student Learning, and he is the author of three textbooks Business Law, Critical Legal Thinking and The New Lawyer. He has written numerous journal articles, book chapters and conference papers in the areas of legal education, critical thinking and critical legal theory. 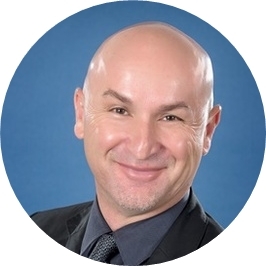 Professor James is the Director of the Centre for Professional Legal Education, Editor-in-Chief of the Legal Education Review and a member of the Executive Committee of the Australasian Law Teachers Association (ALTA). 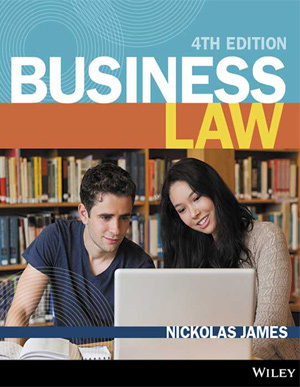 Students can purchase their interactive textbook from Wiley Direct: Business Law, 4th Edition.